Lois L. Barr of Ontario, CA (formerly Bay City MI) passed peacefully on January 12, 2017 at the age of 92 after a long and memorable life. Lois was born in Saginaw, MI on July 22, 1924 to the late Earl and Mamie (Atherton) Getty. She moved with the family to Bay City, MI during her middle childhood years. From there, she moved to Ontario, California with her family in 1963. Lois married Robert (Bob) E. Barr on January 15, 1945 who predeceased her on July 17, 2015 at the age of 92. They were happily married for 70 years prior to his death. Her 5 siblings (June, Wayne, Inez, Bruce, Erwin) also predeceased her. Bob and Lois began their married lives together in Bay City, and soon started their family. Lois was a devoted housewife who loved her husband dearly, and was the mother image that all her children and their spouses and grandchildren looked up to as a positive role model. Lois was most noted for her silly sense of humor, outgoing personality, making friends with everyone she met and having fun spending time with family members (especially the grandchildren and great grandchildren). While raising her family, she enjoyed taking care of other young neighborhood children. She also enjoyed travelling with her husband Bob and their grandchildren in their motor home, taking ocean cruises, dancing and listening to music, baking homemade decorated birthday cakes and collecting lighthouse artifacts. She was very proud of and loved to talk about her work during WWII with the Ration Board in Bay City, MI. and as a civilian Navy employee in San Diego, CA. working with supply distribution. While living in Ontario, she was proud that she helped transcribe memoirs of the early development of LAX. She also enjoyed working as a product demonstrator and was so popular in that capacity that she would have customers following her from site to site. Lois is survived by her 3 children, Robert Roy Barr (Gayle), Sandra Lorraine Cole (Michael), Russell Allen Barr (Suzanne); 6 grandchildren (Christopher, Richard, Bjorn, Lori, Miles, Maria); and 8 great grandchildren (Brent, Jaclyn, Abigayle, Lyla, Julia, Robert, Michael, Madelyn). Lois is also survived by several nieces and nephews and their families. 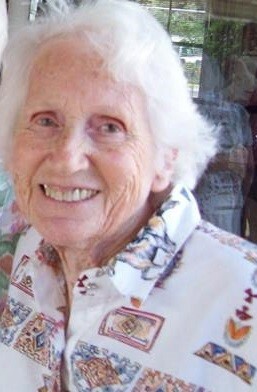 For those desiring, contributions in memory of Lois may be directed to their favorite charity. I will always remember Aunt Loie and Uncle Bob dancing in the living room. How I loved to watch them dance. 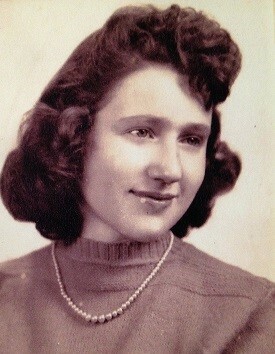 I remember that photo of Aunt Loie from Mom's yearbook! She and your Dad were such nice folks - I remember staying at their house in Bay City when I was little, before you moved (I especially liked "playing" your Dad's guitar). They will both be forever in our hearts.